I wasn’t finished. 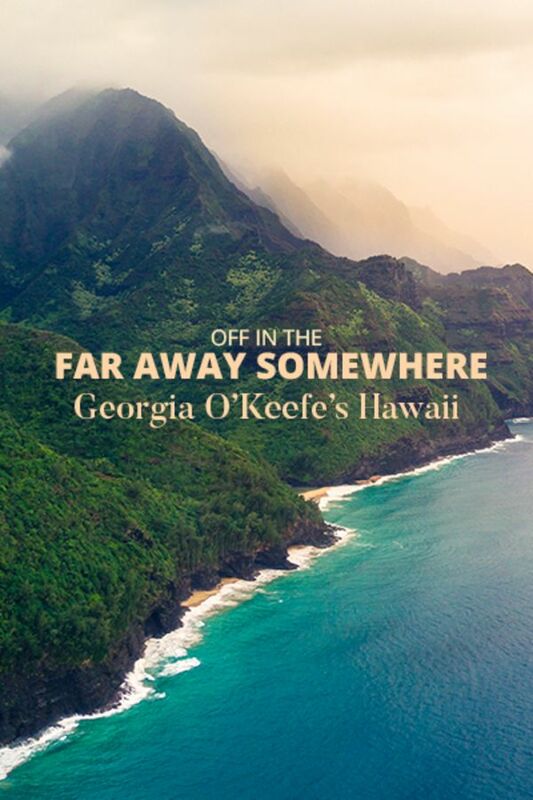 After looking at O’Keefe’s flowers, lava, and endless sea, I hope to go to Hawaii this year. Until recently going to Hawaii wasn’t on any of my lists. Georgia O'keeffe was in a league of her own. Her paintings were full of soul. So rich. So passionate. So candid. The artist is portrayed as loving, caring, and communicative. I sensed she felt her stunning art was second to her discovery and engrossing sharing of the islands and its residents. The reward is for others to appreciate, likely the first ever effort shared by any artist to the general public. The results are an wonderous portrayal of Hawaii in the form of a one-of-a-kind gift to the nation of what finally became the 50th U.S. state. Interestingly, we don't learn in this episode what the "pineapple company" thought of her works or do we?